England & Wales, Death Index: 1837- 2007, online at FindMyPast.com, online search.ancestry.com, Volume: 7A; Page: 1031; Record set: England & Wales marriages 1837-2008. , District: Volume: 7A; Page: 1031; Record set: England & Wales marriages 1837-2008. Public Member Tree, online search.ancestry.com, Foster/Hickton Family Tree - ftkins101. Walter Sands Household, Leake, Lincolnshire, 1911 Census of England and Wales. England & Wales, Birth Index: 1837-1915 viewed at Ancestry.com, online search.ancestry.com, Mansfield,Nottinghamshire,England. Mat Engle household, 1920 U.S. Census, Knox County, Mat Engle, population schedule, Wilton, ED 129, sheet 11B, dwelling 224, family 224, age 28, occupation Coal Miner. Find A Grave - Memorial Page, online www.findagrave.com, Bernard R. Washburn - Find A Grave Memorial# 111061856. Jesse Washburn household, 1940 U.S. Census, Woodbury County, Jesse Washburn, population schedule, Grange, ED 97-7, sheet 5A, Street or Post Office Rural, house number Farm, number of household visited 95, National Archives micropublication T627-1214, Jesse was listed as a married 52 year old Farmer. Find A Grave - Memorial Page, online www.findagrave.com, Florence Emily Spilman Woodson - Find A Grave Memorial# 39159721. Stephen Woodson household, 1900 U.S. Census, Monroe County, Missouri, population schedule, Jackson, ED 0112, sheet 3A, dwelling 51, family 51, age 86, occupation Farmer. Florance Woodson household, 1910 U.S. Census, Monroe County, Missouri, population schedule, Jackson, ED 0118, sheet 8A, dwelling 173, family 175, age 57, occupation Farmer. Find A Grave - Memorial Page, online www.findagrave.com, Mary Jane Woodson Reid - Find A Grave Memorial# 145830744. Find A Grave - Memorial Page, online www.findagrave.com, Roy Roscoe Reid - Find A Grave Memorial# 145830800. Roy Reed household, 1920 U.S. Census, Monroe County, Roy Reed, population schedule, Jackson, ED 119, sheet 6A, dwelling 131, family 132, age 32, occupation Farmer - General Farm. Roy R. Reid household, 1930 U.S. Census, Monroe County, Roy R. Reid, population schedule, Jackson, ED 0004, sheet 7A, dwelling 172, family 177, age 43, occupation Farmer. Roy R. Reid household, 1940 U.S. Census, Monroe County, Roy R. Reid, population schedule, Jackson, ED 96-4, sheet 7B, Street or Post Office Rural, house number Farm, number of household visited 177, National Archives micropublication T627-2130, Roy was listed as a married 53 year old Farmer. Lee E. Weaver household, 1930 U.S. Census, San Francisco County, Lee E. Weaver, population schedule, San Francisco, ED 59, sheet 13B, dwelling 301, family 301, age 55, occupation Iron Worker. Wm W. Wright household, 1940 U.S. Census, Butte County, Wm W. Wright, population schedule, Chico, ED 4-9, sheet 14B, Street or Post Office E 7th Street, house number 1073, number of household visited 365, National Archives micropublication T627-192, William was listed as a married 52 year old Special Investigator for the District Atty Office (Court). Michigan Marriages, 1868-1925 - as view on FamilySearch.Org, online https://familysearch.org/, FamilySearch (https://familysearch.org/ark:/61903/1:1:N322-GC6 : 4 December 2014), Eben H Snyder in entry for Edwin F Snyder and Adeline Ledeboer, 17 Oct 1912; citing Grand Rapids, Kent, Michigan, v 3 p 244 rn 10411, Department of Vital Records, Lansing; FHL microfilm 2,342,697. Michigan Deaths and Burials, 1800-1995 - viewed at FamilySearch, online https://familysearch.org/search/, FamilySearch (https://familysearch.org/ark:/61903/1:1:FHZC-V22 : 9 December 2014), Eben F. Snyder in entry for Edwin F. Snyder, 01 Jun 1956; citing Dowagiac, Cass, Michigan, reference fn 162; FHL microfilm 1,941,383. Edwin Snyder household, 1920 U. S. Census, Kent County, Michigan, population schedule, Grand Rapids, sheet 55, dwelling 8B, family 171, 202. Edwin F. Snyder household, 1930 U.S. Census, Cass County, Edwin F. Snyder, population schedule, Dowagiac, ED 3, sheet 55B, dwelling 134, family 141, age 48, occupation Assistant Sales Manager - Furnace Factory. Edwin F. Snyder household, 1940 U.S. Census, Cass County, Edwin F. Snyder, population schedule, Dowagiac, ED 14-3, sheet 62B, Street or Post Office East Division, house number 308, number of household visited 280, National Archives micropublication T627-1738, age 57, occupation Traveling Salesman for a Furnace Co.
Irwin C Reynolds household, 1920 U. S. Census, Fresno County, Irwin C Reynolds, population schedule, Fresno, ED 32, sheet 2B, dwelling 37, family 38, age 40, occupation Car Inspector - Steam Railroad. Irwin C Reynolds household, 1910 U.S. Census, Fresno County, California, population schedule, Fresno, ED 47, sheet 6B, dwelling 115, family 138, age 33, occupation Inspector Car Barns. Irwin C Reynolds household, 1920 U. S. Census, Fresno County, Irwin C Reynolds, population schedule, Fresno, ED 32, sheet 2B, dwelling 37, family 38, age 40, occupation 32. Irvine C. Reynolds household, 1940 U.S. Census, Alameda County, Irvine C. Reynolds, population schedule, Berkley, ED 1-116, sheet 3A, Street or Post Office Acton Street, house number 2417, number of household visited 55, National Archives micropublication T627-185, age 63, occupation None listed (living on a Military Pention?). 0038Forest Brown household, 1900 U.S. Census, Jefferson County, 0038Forest Brown, population schedule, Charlestown, ED 0039, sheet 17B, dwelling age 44, occupation Attorney at Law. Forest Brown household, 1910 U.S. Census, Jefferson County, Forest Brown, population schedule, Charles Town, ED 0048, sheet 5B, dwelling 83, family 83, age 52, occupation Lawyer - Office. Forrest A. Brown household, 1920 U.S. Census, Jefferson County, Forrest A. Brown, population schedule, Charles, ED 66, sheet 3B, dwelling 63, family 65, age 31, occupation Lawyer. Find A Grave - Memorial Page, online www.findagrave.com, Forrest Augustus Brown - Find A Grave Memorial# 32572224. West Virginia Marriages, 1780-1970, index viewed at FamilySearch, online familysearch.org, FamilySearch (https://familysearch.org/pal:/MM9.1.1/FYRT-WTJ : accessed 08 Oct 2014), Peyton R. Harrison in entry for Forrest Agustus Brown and Lilian Gorham Harrison, Martinsburg, Berkeley, West Virginia; citing ; FHL microfilm 831970. Forrest A. Brown household, 1920 U.S. Census, Jefferson County, Forrest A. Brown, population schedule, Jefferson, ED 31, sheet 3B, dwelling 63, family 65, age 31, occupation Lawyer. Forrest A. Brown household, 1930 U.S. Census, Jefferson County, Forrest A. Brown, population schedule, Charles Town, ED 1, sheet 3A, dwelling 72, family 75, age 40, occupation Lawyer - General Practice. Forrest A. Brown household, 1940 U.S. Census, Jefferson County, Forrest A. Brown, population schedule, Charles Town, ED 19-1A, sheet 5B, Street or Post Office South Samuel Street, number of household visited 119, National Archives micropublication T627-4411, Married 50 year old Lawyer in Office Practice. CA Death Index, online search.ancestry.com, Thomas Douglas Jordan. Albert Hornkohl household, 1930 U.S. Census, Adams County, Albert Hornkohl, population schedule, Adams, ED 25, sheet 4A, dwelling 86, family 86, age 53, occupation Repairman Railroad. Albert Hornkohl household, 1940 U.S. Census, Jefferson County, Albert Hornkohl, population schedule, Semper, ED 30-30, sheet 5B, Street or Post Office Route1 Broomfield, number of household visited 110, National Archives micropublication T627-465, a widowed 63 year old Carpenter. Jessie L. Jordan household, 1920 U. S. Census, Grady County, Oklahoma, population schedule, Chickasha, sheet 165, dwelling 5B, family 102, 103. Max Gomoll household, 1910 U.S. Census, Allen County, Indiana, population schedule, Fort Wayne, ED 47, sheet 563, dwelling 162, family 168, age 31, occupation Tailor Merchant. Volume 2; D - J; Book: CH-3; Page: 110. Ohio, County Marriages, 1790-1950 Vied at FamilySearch, online https://familysearch.org/, Tuscarawas, Ohio marriage for Max Gomoll. Reference Number: Vol. 15 page 34; Film Number: 890369; Digital Folder Number: 4016996; Image Number: 390;. Max Gomoll household, 1910 U.S. Census, Allen County, Indiana, population schedule, Fort Wayne, ED 47, sheet 8A, dwelling 162, family 168, age 32, occupation Tailor. Debbie Gowen Research, "Debbie (Pratt) Gowen - Emails," e-mail to David C. Pratt, Email 20/10/2015 - copy of the newpaper cliping. Debbie Gowen Research, "Debbie (Pratt) Gowen - Emails," e-mail to David C. Pratt, email 28 Jul 2012 - Photo Copies of four newpaper articles discussing divorce. Find A Grave - Memorial Page, online www.findagrave.com, Emma Weise Gomoll Vance: Find A Grave Memorial# 20733269. Indiana. Marriages, 1811-1959 viewed on FamilySearch, online familysearch.org, FamilySearch reference: Film Number: 2130527; Digital Folder Number: 4205248; Image Number: 00073; Number of Images: 1. Find A Grave - Memorial Page, online www.findagrave.com, Henry E. Vance - Find A Grave Memorial# 65191020. Mildred Haven household, 1940 U.S. Census, Worcester County, Mildred Haven, population schedule, Southborough, ED 14-247, sheet 5A, Street or Post Office Southville Road, house number 0, number of household visited 16, National Archives micropublication T627-1647, A widowed 51 year old Housekeeper. Albert Hoehn household, 1910 U.S. Census, Jackson County, Albert Hoehn, population schedule, Fort Osage, ED 15, sheet 6A, dwelling 11, family 12, age 47, occupation Farmer - General Farm. John H Pallette household, 1920 U.S. Census, Lafayette County, John H Pallette, population schedule, Washington, ED 124, sheet 12A, dwelling 275, family 284, age 31, occupaton Farmer - General Farm. Andria P Pallette household, 1930 U.S. Census, Jackson County, Andria P Pallette, population schedule, Sni-A-Bar, ED 277, sheet 8A, dwelling 190, family 192, age 40, occupation Farmer - General Farm. Richard M. Cantrell household, 1900 U.S. Census, DeKalb County, Richard M. Cantrell, population schedule, Civil District 9, dwelling 0049, family 209, 210. Richard M. Cantrell household, 1910 U.S. Census, DeKalb County, Richard M. Cantrell, population schedule, Civil District 9, ED 0060, sheet 7B, dwelling 121, family 121, age 55, occupation Farmer - General Farm. R. M. Cantrell household, 1930 U.S. Census, Warren County, R. M. Cantrell, population schedule, Civil District 1, ED 0004, sheet 8A, dwelling 162, family 164, age 75, occupation Farmer - General Farm. Debbie Gowen Research, "Debbie (Pratt) Gowen - Emails," e-mail to David C. Pratt, 10/21/2015. .S. World War II Draft Registration Cards, 1942 [database on-line]. Provo, UT, USA: The Generations Network, Inc., 2007. Original data: United States, Selective Service System. Selective Service Registration Cards, World War II: Fourth Registration. National Archives and Records Administration Branch locations: National Archives and Records Administration Region Branches., online http://www.ancestry.com, James Clinton Buchanan, Wife Bernice Buchanan of Hancock, Wisconsin. Find A Grave - Memorial Page, online www.findagrave.com, James Clinton Buchanan - Find A Grave Memorial# 69642673. James C. Buchanan household, 1930 U.S. Census, Waushara County, James C. Buchanan, population schedule, Hancock, ED 007, sheet 2A, dwelling 28, family 28, age 42, occupation Farmer - General Farm. Ancestry.com. World War I Selective Service System Draft Registration Cards, 1917-18 [database online] Provo, UT: Ancestry.com, 2002. National Archives and Records Administration. World War I Selective Service System Draft Registration Cards, 1917-1918. M1509, 20,243 rolls. Washington, D.C.: National Archives and Records Administration, online www.ancestry.com, Listed dependents as Wife and 3 Children. James Buchanan household, 1940 U.S. Census, Waushara County, James Buchanan, population schedule, Hancock, ED 69-7, sheet 3B, Street or Post Office Rural, house number Farm, number of household visited 56, National Archives micropublication T627-4536, James was listed as a married, 52 year old, Farmer. Richard Darby household, 1900 U.S. Census, Winnebago County, Wisconsin, population schedule, Rockton, ED 146, sheet 14A, dwelling 317, family 317, age 57, occupation Farmer. Family Search - International Genealogical Index. Ancestral File is a collection of genealogical information taken from Pedigree Charts and Family Group Records submitted to the Family History Department since 1978. The information has not been verified against any official records., online www.familysearch.org/Eng/Search/frameset_search.asp,For Batch Number: 8526907. Richard Darby household, 1910 U. S. Census, Los Angeles County, California, population schedule, Los Angeles, ED 80, sheet 92A, dwelling 108, family 107, age 69, occupation None. Ancestry.com. World War I Selective Service System Draft Registration Cards, 1917-18 [database online] Provo, UT: Ancestry.com, 2002. National Archives and Records Administration. World War I Selective Service System Draft Registration Cards, 1917-1918. M1509, 20,243 rolls. Washington, D.C.: National Archives and Records Administration, online www.ancestry.com, Morrison Alexander Darby: Source Citation: Registration Location: King County, Washington; Roll 1991888; Draft Board: 2. Morrison Darby household, 1940 U.S. Census, King County, Morrison Darby, population schedule, Seattle, ED 40-328, sheet 9B, Street or Post Office W Cloverdale, house number 2121, number of household visited 209, National Archives micropublication T627-4344, 52 year old, married, Bus Machanic - Street Railway. Debbie Gowen Research, "Debbie (Pratt) Gowen - Emails," e-mail to David C. Pratt, email - photo copy of obituary for Morrison A. Darby. Kentucky Death Records, 1852-1953 [database on-line]. Provo, UT, USA: The Generations Network, Inc., 2007. Original data:, online www.ancestry.com, Photo copy of certivicate No: 29349 for Sharpe Engle. Tennessee, State Marriage Index, 1780-2002, index, FamilySearch, online familysearch.org, Marriage Bond by Sol D. Lenowitz. Sharp Engle household, 1910 U.S. Census, Knox County, Sharp Engle, population schedule, Indian Creek, ED 0114, sheet 9B, dwelling age 21, occupation Farmer. Ancestry.com. World War I Selective Service System Draft Registration Cards, 1917-18 [database online] Provo, UT: Ancestry.com, 2002. National Archives and Records Administration. World War I Selective Service System Draft Registration Cards, 1917-1918. M1509, 20,243 rolls. Washington, D.C.: National Archives and Records Administration, online www.ancestry.com, Listed Wife and either two or four Childern. James A. Brown household, 1920 U.S. Census, Whitley County, James A. Brown, population schedule, Rockhold, ED 283, sheet 12A, dwelling 225, family 228, age 49, occupation Farmer - General Farm. Henry Culton household, 1900 U.S. Census, Yolo County, California, population schedule, Winters, ED 203, sheet 1B, dwelling 22, family 22, age 51, occupation Preacher. CA Death Index, online search.ancestry.com, 5561046917. Henry C. Culton household, 1910 U.S. Census, Yolo County, California, population schedule, Winters, ED 184, sheet 1B, dwelling 19, family 19, age 61, occupation Clegeryman Presbyterian. Carroll Culton household, 1930 U.S. Census, Yolo County, Carroll Culton, population schedule, Winters, ED 16, sheet 4B, dwelling 122, family 123, age 41, occupation Grocery Merchant. Carroll S. Culton household, 1920 U. S. Census, Yolo County, Carroll S. Culton, population schedule, Winters, ED 230, sheet 9, dwelling 38, family 38, age 31, occupation Merchant - Grocery. C. Perryl Culton household, 1930 U.S. Census, Yolo County, C. Perryl Culton, population schedule, Winters, ED 16, sheet 4B, dwelling 122, family 123, age 41, occupation Grocery Merchant. Carroll S. Culton household, 1940 U.S. Census, Yolo County, Carroll S. Culton, population schedule, Winters, ED 57-20, sheet 3A|Russell Street, house number 54, number of household visited 51 year old married clerk, National Archives micropublication T627-366. Ancestry.com, Public Member Trees, online search.ancestry.com/, Stafford Family Tree. Seattle Passenger and Crew Lists, 1882-1957 [database on-line]. Provo, UT, USA: The Generations Network, Inc., 2006. Original data:, online www.ancestry.com. CA Death Index, online search.ancestry.com, Place: Santa Clara; Date: 17 Jul 1978; Social Security: 534072882. Unknown repository Petition For Naturalization, #14708-15014 (7 Mar 1929), unknown repository address. William E. Runion household, 1920 U.S. Census, Scott County, Virginia, population schedule, De Kalb, ED 91, sheet 7A, dwelling 121, family 121, age 51, occupation Farmer - General Farm. Joseph Herr household, 1900 U.S. Census, Cook County, Illinoise, population schedule, Chicago, ED 0920, sheet 11A, dwelling 109, family 203, age 41, occupation Laborer - Stock Yards. Ancestry.com. World War I Selective Service System Draft Registration Cards, 1917-18 [database online] Provo, UT: Ancestry.com, 2002. National Archives and Records Administration. World War I Selective Service System Draft Registration Cards, 1917-1918. M1509, 20,243 rolls. Washington, D.C.: National Archives and Records Administration, online www.ancestry.com, Registration State: Illinois; Registration County: Cook; Roll: 1613915; Draft Board: 67. Ancestry.com. Cook County, Illinois, Birth Certificates Index, 1871-1922 [database on-line]. Provo, UT, USA: Ancestry.com Operations, Inc., 2011. Original data: "Illinois, Cook County Birth Certificates, 1878–1922." Index. FamilySearch, Salt Lake City, Utah, 2009. Illinois. Cook County Birth Certificates, 1878–1922. Illinois Department of Public Health. Division of Vital Records, Springfield. "Illinois. Cook County Birth Registers, 1871–1915." Index. FamilySearch, Salt Lake City, Utah. Illinois. Cook County Birth Registers, 1871–1915. Illinois Department of Public Health. Division of Vital Records, Springfield., online search.ancestry.com, Father Name: Joseph Herr; Father's Birth Place: Reiren, Germany; Father's Age: 29; Mother Name: Katherina Fuhrmann; Mother's Birth Place: Reiren, Germany; Mother's Age: 27; FHL Film Number: 1287785. Joseph Herr household, 1910 U.S. Census, Cook County, Illinois, population schedule, Chicago, ED 1285, sheet 4B, dwelling 44, family 80, age 51, occpuation Inspect Hides - Stock Yard. Henry Herr household, 1920 U. S. Census, Cook County, Illinois, population schedule, Chicago, sheet 1760, dwelling 37B, family 349, 733. Henry Herr household, 1930 U.S. Census, Cook County, Illinois, population schedule, Chicago, ED 2527, sheet 13A, dwelling 122, family 216, age 41, occupation Foreman Packing House. Anna H. Heffern was born on 15 February 1888 at California.1,2 She was the daughter of William H. Heffern and Mary E. (? )1 Anna H. Heffern married Arthur Burdett Reynolds, son of James Andrew Reynolds and Ambrosette Stephenson, before 1920 at California.1 Anna H. Heffern and Arthur Burdett Reynolds appeared on the census of 10 April 1930 in Stockton, San Joaquin County, California; No Children.3 The appeared on the census of 12 April 1940 also in Stockton; Anna appeared as Hannah on this Census.4 Anna H. Heffern died on 15 July 1972 at San Joaquin County, California, at age 84.2 Arthur and Anna appear to have had no children. William Heffern household, 1920 U. S. Census, San Joaquin County, William Heffern, population schedule, Stocton, ED 179, sheet 5B, dwelling 102, family 131, age 59, occupation Deliverman Laundry. Find A Grave, database and immages, online www.findagrave.com, Anna H Reynolds, Find A Grave Memorial no: 85822010. Arthur B. Reynolds household, 1930 U. S. Census, San Joaquin County, California, population schedule, Stockton County, ED 54, sheet 10B, dwelling 134, family 169, age 45, occupation Propritor Barber Shop. Arthur B Reynolds household, 1940 U.S. Census, San Joaquin County, Arthur B Reynolds, population schedule, Stockton, ED 39-58, sheet 10A, Street or Post Office Channel Street, house number 1220, number of household visited 317, National Archives micropublication T627-325, age 55, occupation Baker - Own Shop. United States World War I Draft Registration Cards, 1917-1918, database with images online at FamilySearch, online familysearch.org, FamilySearch (https://familysearch.org/ark:/61903/1:1:K6ZZ-V36 : 13 March 2018), James Walker Corder, 1917-1918; citing Scott County, Virginia, United States, NARA microfilm publication M1509 (Washington D.C.: National Archives and Records Administration, n.d.); FHL microfilm 1,991,162. Virginia Marriages,1785-1940, database, FamilySearch, online http://familySearch.org, FamilySearch (https://familysearch.org/ark:/61903/1:1:XRX5-CNT : 11 February 2018), Walker Corder and Annice Sloas, 01 Feb 1914; citing Scott, Virginia, reference 337187; FHL microfilm 337,187. James W Corder household, 1920 U.S. Census, Scott County, Virginia, population schedule, Floyd District, ED 95, sheet 6A, dwelling 109, family 109, age 27, occupation Fireman - Lumber Mill. Walker Corder household, 1930 U. S. Census, Scott County, Virginia, population schedule, Floyd, sheet 8, dwelling 16A, family 288, 288. J W Carder household, 1940 U.S. Census, Scott County, J W Carder, population schedule, Floyd District(Dunngannon), ED 85-9, sheet 19B, Street or Post Office Road 653, number of household visited 310, National Archives micropublication T627-4293, age 48, occupation Not Listed. United States World War I Draft Registration Cards, 1917-1918, database with images online at FamilySearch, online familysearch.org, FamilySearch (https://familysearch.org/ark:/61903/1:1:V1KP-TJL : 9 March 2018), Walker James Corder, 1942; citing NARA microfilm publication M1936, M1937, M1939, M1951, M1962, M1964, M1986, M2090, and M2097 (Washington D.C.: National Archives and Records Administration, n.d.). Frank W. Alderman household, 1920 U. S. Census, Boone County, Illinois, population schedule, Belvidere, sheet 4, dwelling 9B, family 231, 245. Frank W. Alderman household, 1900 U.S. Census, Boone County, Illinoise, population schedule, Belvidere, ED 4, sheet 1B, dwelling 23, family 25, age 49, occupation Carpenter. Frank Alderman household, 1910 U.S. Census, Boone County, Illinois, population schedule, Belvidere, ED 003, sheet 8A, dwelling 197, family 204, age 61, occupation Carpenter. Frand W. Alderman household, 1930 U.S. Census, Boone County, Frand W. Alderman, population schedule, Belvidere, ED 002, sheet 10A, dwelling 227, family 247, age 77, occupation General Repair man. Ernest C. Roch(Koch) household, 1920 U. S. Census, Cook County, Illinois, population schedule, Chicago Ward 31, sheet 1869, dwelling 5A, family 52, 102. Ancestry.com. World War I Selective Service System Draft Registration Cards, 1917-18 [database online] Provo, UT: Ancestry.com, 2002. National Archives and Records Administration. World War I Selective Service System Draft Registration Cards, 1917-1918. M1509, 20,243 rolls. Washington, D.C.: National Archives and Records Administration, online www.ancestry.com, Registration Location: Cook County, Illinois; Roll: 1613928; Draft Board: 68. Ernest Koch household, 1940 U.S. Census, Cook County, Ernest Koch, population schedule, Chicago, ED 103-1230, sheet 8A, Street or Post Office Laflin Street, house number 8021, number of household visited 89, National Archives micropublication T627-940, Married, 52 year old Meats. Thomas Moffett household, 1900 U.S. Census, Hays County, Thomas Moffett, population schedule, Justice Precinct No. 2, ED 0075, sheet 25A, dwelling 399, family 400, age 60, occupaton Farmer. Original data: Texas Department of State Health Services. Texas Death Certificates, 1903–1982. iArchives, Orem, Utah., online search.ancestry.com, Thomas Moffett; Mother's maiden Name: Georgana Calhoun. Thomas Moffett household, 1930 U.S. Census, Caldwell County, Thomas Moffett, population schedule, Precinct 4, ED 0013, sheet 3B, dwelling 554, family 54, age 43, occupation Farmer. United States World War I Draft Registration Cards, 1917-1918, database with images online at FamilySearch, online familysearch.org, FamilySearch (https://familysearch.org/ark:/61903/1:1:KZK8-F26 : 12 December 2014), Vincent Frederick Kelley, 1917-1918; citing Boulder County, Colorado, United States, NARA microfilm publication M1509 (Washington D.C.: National Archives and Records Administration, n.d.); FHL microfilm 1,544,490. Maggie Kellie household, 1900 U.S. Census, Rock County, Wisconsin, population schedule, Janesville, ED 0180, sheet 14B, dwelling 312, family 331, age 38, occupation Nurse. Vincent F. Kelly household, 1930 U.S. Census, Douglas County, Vincent F. Kelly, population schedule, Omaha, ED 0122, sheet 51A, dwelling 536, family 540, age 41, occupation Salesman - Creamory. Vincent F. Kelly household, 1940 U.S. Census, Cass, Vincent F. Kelly, population schedule, Plattsmouth, ED 13-17, sheet 1A, Street or Post Office Main, house number 424, number of household visited 18, National Archives micropublication T627-2239, Vincent was listed as a married 52 year old Manager of a Retail Ice Cream Store. BillionGraves Index, database, online at familysearch.org, FamilySearch (https://familysearch.org/ark:/61903/1:1:QKDG-HGMM : 25 April 2016), Marion F Flanary, died 20 Apr 1946; citing BillionGraves (http://www.billiongraves.com : 2012), Burial at Cecil Fry Cemetery, 3, Lee, Virginia, United States. Nancy E. Flanary household, 1910 U.S. Census, Scott County, Virginia, population schedule, De Kalb, ED 65, sheet 6B, dwelling 105, family 105, age 76, occupation Farmer - General Farm. United States World War I Draft Registration Cards, 1917-1918, database with images online at FamilySearch, online familysearch.org, FamilySearch (https://familysearch.org/ark:/61903/1:1:K6ZD-D7F : 13 March 2018), Marion Francis Flanary, 1917-1918; citing Wise County, Virginia, United States, NARA microfilm publication M1509 (Washington D.C.: National Archives and Records Administration, n.d.); FHL microfilm 1,991,379. Marion Flanary household, 1930 U.S. Census, Lee County, Marion Flanary, population schedule, Rocky Sataion, ED 7, sheet 8B, dwelling 147, family 152, age 46, occupation Miner - Coal Mine. Marion Flanary household, 1940 U.S. Census, Lee County, Marion Flanary, population schedule, Rocky Sataion, ED County Road 637, sheet W 43, Street or Post Office 190, house number age 56, occupation Miner - Coal Mines., National Archives micropublication T627-4273. United States, 1942 World War II Draft Registration Cards, viewed at FamilySearch, online familysearch.org, FamilySearch (https://familysearch.org/ark:/61903/1:1:V1K5-6LT : 9 March 2018), Marion Francis Flanary, 1942; citing NARA microfilm publication M1936, M1937, M1939, M1951, M1962, M1964, M1986, M2090, and M2097 (Washington D.C.: National Archives and Records Administration, n.d.). Indiana. Marriages, 1811-2007 viewed on FamilySearch, online familysearch.org, FamilySearch (https://familysearch.org/ark:/61903/1:1:XXYM-R7C : 8 December 2017), Marion Flannary in entry for Roy Flannary and Alice Conyers, 03 Feb 1946; citing Delaware, Indiana, United States, Marriage Registration, Indiana Commission on Public Records, Indianapolis; FHL microfilm 004476703. Ancestry.com. World War I Selective Service System Draft Registration Cards, 1917-18 [database online] Provo, UT: Ancestry.com, 2002. National Archives and Records Administration. World War I Selective Service System Draft Registration Cards, 1917-1918. M1509, 20,243 rolls. Washington, D.C.: National Archives and Records Administration, online www.ancestry.com, Benj. Blanchard Wood. Debbie Gowen Research, "Debbie (Pratt) Gowen - Emails," e-mail to David C. Pratt, email 9 Mar 2017. Find A Grave - Memorial Page, online www.findagrave.com, Gertie Belle Reynolds Mills - Find A Grave Memorial# 41765880. Henrietta Reynolds household, 1930 U. S. Census, San Joaquin County, California, population schedule, Stockton, ED 41, sheet 5B, dwelling 113, family 159, age 62, occupation None Listed. Le Roy A Mills household, 1940 U.S. Census, San Joaquin County, Le Roy A Mills, population schedule, O'Neal - Stockton, ED 39-73, sheet 9A, Street or Post Office Lexington, house number 417, number of household visited 258, National Archives micropublication T627-325, age 62, occupation Attorney. Sarah Scott household, 1920 U. S. Census, San Mateo County, California, population schedule, South San Francisco, sheet 67, dwelling 958A, family 6, 7. Ancestry.com. World War I Selective Service System Draft Registration Cards, 1917-18 [database online] Provo, UT: Ancestry.com, 2002. National Archives and Records Administration. World War I Selective Service System Draft Registration Cards, 1917-1918. M1509, 20,243 rolls. Washington, D.C.: National Archives and Records Administration, online www.ancestry.com, Registration Location: San Francisco County, California; Roll: 1544244; Draft Board: 10. California, Great Registers, 1866-1910 viewed at FamilySearch.com, online familyserch.org, Voter Registration for Thomas Scott, born 1821 in North Carolina - FamilySearch Reference: Film Number: 2502; Digital Folder Number: 5028124; Image Number: 00209. CA Death Index, online search.ancestry.com, 571-05-0028. United States, 1942 World War II Draft Registration Cards, viewed at FamilySearch, online familysearch.org, Photo copy of the WW II draft card for Louis Spitzer Scott birth date 9 Apr 1888 - FamilySearch Reference: Film Number: 2404184; Digital Folder Number: 4667484; Image Number: 00189. Ancestry.com. World War I Selective Service System Draft Registration Cards, 1917-18 [database online] Provo, UT: Ancestry.com, 2002. National Archives and Records Administration. World War I Selective Service System Draft Registration Cards, 1917-1918. M1509, 20,243 rolls. Washington, D.C.: National Archives and Records Administration, online www.ancestry.com, FamilySearch (https://familysearch.org/ark:/61903/1:1:KZKM-GSQ : 12 December 2014), Lewis Spitzer Scott, 1917-1918; citing San Francisco City no 10, California, United States, NARA microfilm publication M1509 (Washington D.C.: National Archives and Records Administration, n.d.); FHL microfilm 1,544,244. Louis Scott household, 1940 U. S. Census, San Mateo County, California, population schedule, San Mateo, ED 41-628, sheet 3A, dwelling Forth Avenue, 54. Newton Peterman household, 1900 U.S. Census, Contra Costa County, California, population schedule, Brentwood, Bryon and Empire|413|2, ED 40, sheet 10, dwelling age 42, occupation Farmer. United States, 1942 World War II Draft Registration Cards, viewed at FamilySearch, online familysearch.org, FamilySearch (https://familysearch.org/ark:/61903/1:1:V486-C6G : 8 November 2017), Herman Peterman, 1942; citing NARA microfilm publication M1936, M1937, M1939, M1951, M1962, M1964, M1986, M2090, and M2097 (Washington D.C.: National Archives and Records Administration, n.d.). United States World War I Draft Registration Cards, 1917-1918, database with images online at FamilySearch, online familysearch.org, FamilySearch (https://familysearch.org/ark:/61903/1:1:KZK4-YTJ : 13 March 2018), Herman Peterman, 1917-1918; citing Stanislaus County, California, United States, NARA microfilm publication M1509 (Washington D.C.: National Archives and Records Administration, n.d.); FHL microfilm 1,544,413. Newton Peterman household, 1910 U.S. Census, Glenn County, California, population schedule, Willows, ED 30, sheet 13A, dwelling 157, family 160, age 54, occupation Stockman - Farm. California, County Marriages - viewed at FamiySearch, online www.familysearch.org, FamilySearch (https://familysearch.org/ark:/61903/1:1:XL6T-5NL : 8 December 2017), Herman Peterman and Lucy Jewell Graves, 17 Jan 1912; citing Stanislaus, California, United States, county courthouses, California; FHL microfilm 1,462,998. Herman Peterman household, 1920 U. S. Census, San Joaquin County, Herman Peterman, population schedule, Tulare, ED 186, sheet 13A, dwelling 47, family 49, age 31, occupation Farmer - Own Farm. Herman Peterman household, 1930 U. S. Census, San Joaquin County, California, population schedule, Tulare, ED 85, sheet 9B, dwelling 148, family 148, age 41, occupation Farmer - Bee Farm? Herman Peterman household, 1940 U.S. Census, San Joaquin County, Herman Peterman, population schedule, Tulare, ED 39-100B, sheet 5A, Street or Post Office Farm, number of household visited 52, National Archives micropublication T627-325, age 51, occupation not listed. California, County Birth and Death Records, 1800-1994, database with images, online familyseach.org, Photo Copy of Certificate of Death for Herman Peteman. Parents: Newton Peterman and Grace Chauncey. Lucy J. Peterman, Wife. Dictrict Number: 3900, Certificate Number: 2127. California, County Marriages - viewed at FamiySearch, online www.familysearch.org, FamilySearch (https://familysearch.org/ark:/61903/1:1:K82Y-FDK : 10 December 2017), Herman Peterman in entry for Arthur William Nelson and Helen Ethel Peterman, 08 Nov 1935; citing San Joaquin, California, United States, county courthouses, California; FHL microfilm 1,841,875. Joe Wilson household, 1900 U.S. Census, Tate County, Joe Wilson, population schedule, Coldwater, ED 0093, sheet 2A, dwelling 26, family 26, age 50, occupation Physician. Joseph J. Wilson household, 1910 U.S. Census, Tate County, Joseph J. Wilson, population schedule, Beat 2, ED 0086, sheet 2B, dwelling 42, family 45, age 62, occupation Physician - General Practice. Baltimore Passenger Lists, 1820-1948 [database on-line]. Provo, UT, USA: The Generations Network, Inc., 2006. Original data:, online www.ancestry.com, Port of Departure: Bremen, Germany; Ship Name: Cassel; Destination: Ft Wayne,Ind; Friend's Name: Julius Gomoll; Last Residence: Germany; Microfilm Roll Number: 46; Page: 87; "Friend is Uncle." Baltimore Passenger Lists, 1820-1948 [database on-line]. Provo, UT, USA: The Generations Network, Inc., 2006. Original data:, online www.ancestry.com, Port of Departure: Bremen, Germany; Ship Name: Cassel; Destination: Ft Wayne,Ind; Uncle paid for trip; Uncles Name: Julius Gomoll,1428 Taylor st. Ft. Wayne, Indiana. Microfilm Roll Number: 46; Page: 87;. .S. World War II Draft Registration Cards, 1942 [database on-line]. Provo, UT, USA: The Generations Network, Inc., 2007. Original data: United States, Selective Service System. Selective Service Registration Cards, World War II: Fourth Registration. National Archives and Records Administration Branch locations: National Archives and Records Administration Region Branches., online http://www.ancestry.com, Serial Number: 2942: Address Mobile Ave, Chicago. Ancestry.com. Baltimore Passenger Lists, 1820-1948 [database on-line]. Provo, UT, USA: Ancestry.com Operations Inc, 2006. Original data: * Baltimore, Maryland. Passenger Lists of Vessels Arriving at Baltimore, Maryland, 1891-1909. Micropublication T844. RG085. 150 rolls. National Archives, Washington, D.C. * Baltimore, Maryland. Passenger Lists of Vessels Arriving at Baltimore, Maryland, 1820-1891. Micropublication M255. RG036. 50 rolls. National Archives, Washington, D.C., online www.ancestry.com. Ancestry.com. World War I Selective Service System Draft Registration Cards, 1917-18 [database online] Provo, UT: Ancestry.com, 2002. National Archives and Records Administration. World War I Selective Service System Draft Registration Cards, 1917-1918. M1509, 20,243 rolls. Washington, D.C.: National Archives and Records Administration, online www.ancestry.com, State: Illinois; Registration County: Cook; Roll: 1613568; Draft Board: 49. Otto Gomoll household, 1940 U.S. Census, Cook County, Otto Gomoll, population schedule, Chicago, ED 103-2573, sheet 8A, Street or Post Office n Nobile Avenue, house number 5737, number of household visited 153, National Archives micropublication T627-940, Married 51 year old Cook at a Resturant. Otto Gornall (Gomoll) household, 1920 U. S. Census, Cook County, Illinois, population schedule, Chicago, sheet 1478, dwelling 2B, family 17, 17. Ancestry.com. Illinois, Deaths and Stillbirths Index, 1916-1947 [database on-line]. Provo, UT, USA: Ancestry.com Operations, Inc., 2011. Original data: "Illinois Deaths and Stillbirths, 1916–1947." Index. FamilySearch, Salt Lake City, Utah, 2010. Index entries derived from digital copies of original records., online search.ancestry.com, Caroline Gomoll; Death Age: 48; Gender: Female; Father Name: Mathias Potetz; Mother Name: Anna Bauer; FHL Film Number: 1953846. Find A Grave - Memorial Page, online www.findagrave.com, Otto Gomoll - Find A Grave Memorial# 127852051. Ancestry.com. Massachusetts, Marriage Records, 1840-1915 [database on-line]. Provo, UT, USA: Ancestry.com Operations, Inc., 2013. Original data: Massachusetts Vital Records, 1840–1911. New England Historic Genealogical Society, Boston, Massachusetts. Massachusetts Vital Records, 1911–1915. New England Historic Genealogical Society, Boston, Massachusetts., online search.ancestry.com, Hazel Stiles and Henry Whitmore. 1908 Marriages. No. 373. 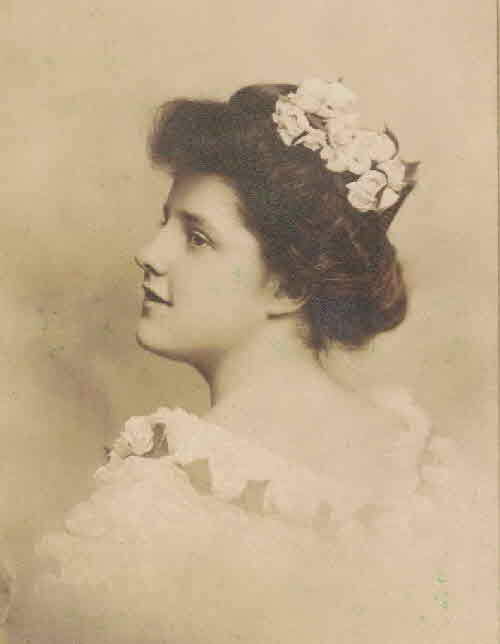 Find A Grave - Memorial Page, online www.findagrave.com, Hattie E. Whitmore - Find A Grave Memorial# 95615532. South Dakota Department of Health. South Dakota Marriage Index, 1905-1914, 1950-2013 and South Dakota Marriage Certificates, 1905-1949. Pierre, SD, USA: South Dakota Department of Health. online at ancestry.com, online Search.ancestry.com, Certificate: 46607; Registration Number: 9-98. Find A Grave - Memorial Page, online www.findagrave.com, Almon H. Whitmore - Find A Grave Memorial# 95615429. Almon H. Whitmore household, 1920 U. S. Census, Cochise County, Almon H. Whitmore, population schedule, Wilcox, ED 11, sheet 5B, dwelling 99, family 101, age 32, occupation Manager - Telephone Exchange. Nelson C. Butler household, 1900 U.S. Census, El Dorado, California, population schedule, Placerville, ED 0028, sheet 26A, dwelling 683, family 683, age 44, occupation Farmer. Find A Grave - Memorial Page, online www.findagrave.com, Ethel Jane Creed - Find A Grave Memorial# 38744931. Cora Butler household, 1910 U.S. Census, El Dorado County, California, population schedule, Placerville, ED 0024, sheet 14A, dwelling 235, family 235, age 41, occupation Farmer. , family 105, age 37, occupation Farmer - Truck Farm. Jesse Creed household, 1930 U.S. Census, Orange County, Jesse Creed, population schedule, Santa Ana, ED 0076, sheet 11B, dwelling 336, family 403, age 47, occupation Farmer. Allie Flannery household, 1920 U.S. Census, Estill County, Allie Flannery, population schedule, Station Camp, ED 44, sheet 14B, dwelling 250, family 253, age 29, widow, occupation Washer Woman. Truckee M. Rose household, 1900 U.S. Census, San Joaquin County, California, population schedule, Castoria, ED 0099, sheet 8B, dwelling 178, family 178, age 44, occupation Farmer. California, County Marriages - viewed at FamiySearch, online www.familysearch.org, FamilySearch (https://familysearch.org/ark:/61903/1:1:K8XL-ZB3 : 10 December 2017), Humphrey P Rose in entry for Clarence E Early and Rosetta Rose, 25 Dec 1906; citing San Joaquin, California, United States, county courthouses, California; FHL microfilm 1,411,586. Francis Carey household, 1930 U.S. Census, Baltimore City (Independent Ciity), Francis Carey, population schedule, Baltimore, ED 518, sheet 26A, dwelling 76, family 76, age 41, occupation Lawyer. K Francis Carey household, 1940 U.S. Census, Baltimore City, K Francis Carey, population schedule, Baltimore, ED 4-791, sheet 3A, Street or Post Office Churchwarden Road, house number 120, number of household visited 51, National Archives micropublication T627-1539, Married, 81 year old president of the National Beet Sugar Co.
W. G. Mahaffay household, 1930 U.S. Census, Cook County, Illinois, population schedule, Palos, ED 2293, sheet 1A, dwelling 2, family 2, age 42, occupation Electritian. Letter, Harriet Koch to Norman Pratt, 24 Apr 1984. Walter G. Mahaffay household, 1920 U. S. Census, Cook County, Illinois, population schedule, Worth, sheet 180, dwelling 1A, family 1, 1. Walter Mahaffay household, 1940 U.S. Census, Cook County, Walter Mahaffay, population schedule, Palos, ED 16-399, sheet 1A, Street or Post Office 111th, house number Last House, number of household visited 11, National Archives micropublication T627-940, a married 52 year old Contractor. Ancestry.com, Public Member Stories, online search.ancestry.com, Originall shared on 2 may 2017 by aaronsmomma13 as taken from Newspapers.com. , shared by Originall shared on 2 may 2017 by aaronsmomma13 as taken from Newspapers.com. Herman Compian household, 1920 U.S. Census, Ada County, Herman Compian, population schedule, Fair Ground, ED 29, sheet 17B, dwelling 179, family 180, age 39, occupation Farmer. Joseph S. Kanematz household, 1910 U.S. Census, Multnomah County, Oregon, population schedule, Portland, ED 0245, sheet 13B, dwelling 48, family 49, age 33, occupation Manager - Department Store. Herman Campion household, 1930 U. S. Census, Los Angeles, California, population schedule, Los Angeles, ED 0569, sheet 3A, dwelling 514, family 514, age 48, occupation Truck Driver - Dairy. Herman Campion household, 1940 U. S. Census, Los Angeles, California, population schedule, Los Angeles, ED 60-1225, sheet 2B, dwelling Avalon Blud, family 10605, 41. Richard W. Spilman household, 1900 U.S. Census, Henrico County, Richard W. Spilman, population schedule, Richmond, ED 82, sheet 5B, dwelling 69, family 91, age 40, occupation Salesman Oil Co.
Ancestry.com - OneWorldTree, online search.ancestry.com, For Wortham Anderson Spilman, Born: 28 Jul 1888. Ancestry.com. World War I Selective Service System Draft Registration Cards, 1917-18 [database online] Provo, UT: Ancestry.com, 2002. National Archives and Records Administration. World War I Selective Service System Draft Registration Cards, 1917-1918. M1509, 20,243 rolls. Washington, D.C.: National Archives and Records Administration, online www.ancestry.com, Registration Location: Wise County, Virginia; Roll 1985109; Draft Board: 1. Richard W. Spillman household, 1910 U.S. Census, Henrico County, Richard W. Spillman, population schedule, Richmond, ED 113, sheet 1B, dwelling 13, family 15, age 49, occupation Salesman Standard Oil Co.
Wortham A. Spillman household, 1930 U.S. Census, Henrico County, Wortham A. Spillman, population schedule, Richmond, ED 33, sheet 2B, dwelling 19, family 28, age 42, occupation Salesman Automobiles. W. A. Spilman household, 1940 U.S. Census, Richmond City, W. A. Spilman, population schedule, Richmond, ED 118-153, sheet 62B, Street or Post Office Park Avenue, house number 4112, number of household visited 214, National Archives micropublication T627-4319, Wortham was a married 40? (60) year old Lawyer. .S. World War II Draft Registration Cards, 1942 [database on-line]. Provo, UT, USA: The Generations Network, Inc., 2007. Original data: United States, Selective Service System. Selective Service Registration Cards, World War II: Fourth Registration. National Archives and Records Administration Branch locations: National Archives and Records Administration Region Branches., online http://www.ancestry.com, Roll WW2_2370527; Local board: Richmond , Virginia. SSI Death Index, online search.ancestry.com, 223-07-0138;Issue State: Virginia;Issue Date: Before 1951. Find A Grave - Memorial Page, online www.findagrave.com, Wortham Anderson Spilman - Find A Grave Memorial# 55451811. James N. Steele household, 1900 United States census, Jackson County, James N. Steele, population schedule, Van Buren, ED 0142, sheet 3A, dwelling 47, family 47, age 54, occupation Farmer. James N. Steele household, 1910 U.S. Census, Calcasieu County, James N. Steele, population schedule, Police JUry Ward 2, ED 0032, sheet 12A, dwelling 256, family 256, age 55, occupation Farmer. Archie L. Harris household, 1920 U.S. Census, Douglas County, Archie L. Harris, population schedule, Omaha, ED 62, sheet 4A, dwelling 689, family 83, age 34, occupation Well Driller. A. L. Harris household, 1940 U.S. Census, Jackson County, A. L. Harris, population schedule, Sni-A-Bar, ED 48-53, sheet 2B, Street or Post Office Rural Farm, National Archives micropublication T627-2116, Archie was listed as a married 54 year old farmer. Melena B. Tollefson household, 1920 U.S. Census, McKenzie County, Melena B. Tollefson, population schedule, Twin Valley, ED 93, sheet 4A, dwelling 81, family 81, age 52, occupation None. Olve C. Tollefson household, 1940 U.S. Census, McKenzie County, Olve C. Tollefson, population schedule, Twin Valley, ED 27-35, sheet 2A, Street or Post Office Rural, house number Farm, number of household visited 28, National Archives micropublication M627-3006, Olve was listed as a married, 51 year old, Farmer. Find A Grave - Memorial Page, online www.findagrave.com, Verdia May Trudo Merchant - Find A Grave Memorial# 75928648. William Merchant household, 1910 U.S. Census, Cheboygan County, Michigan, population schedule, Aloha, ED 67, sheet 6B, dwelling 112, family 112, age 21, occupation Laborer in a Lumber Mill. Public Member Tree, online search.ancestry.com, FisherDescendants & Ancestors_2012-04-15. Public Member Tree, online search.ancestry.com, Fisher Decendants & Ancestro - Shafer_Ann. Wallace A. Hill household, 1930 U.S. Census, Bexar County, Wallace A. Hill, population schedule, San Antonio, ED 0101, sheet 26A, dwelling 380, family 436, age 33, occupaton Traveling Sales Man - Mens Belts. Wallace A. Hill household, 1940 U.S. Census, Bexar County, Wallace A. Hill, population schedule, San Antonio, ED 15-16, sheet 1B, Street or Post Office Farm, number of household visited 13, National Archives micropublication T627-3935, Wallace was listed as a married 42 year old Farmer. West Virginia Deaths, 1853-1970 viewed at FamilySearch, online familysearch.org, accessed 29 jun 2013; Carl Ludwig Joseffy and Jane Weller in entry for Rafael Joseffy, 22 Apr 1949. Public Member Tree, online search.ancestry.com, Wirsching/Kramer/Knoles/Raper Family Tree - bill_wirshing. William Worley household, 1910 U.S. Census, Whitley County, William Worley, population schedule, Woodbine, ED 0426, sheet 17A, dwelling 302, family 307, age 60, occupatione Farmer - General Farm. Moss M. Worley household, 1920 U.S. Census, Whitley County, Moss M. Worley, population schedule, Woodbine, ED 282, sheet 8B, dwelling 160, family 160, age 29, occupation Laborer - Steam Railroad. Layfatte M. Worley household, 1930 U.S. Census, Whitley County, Layfatte M. Worley, population schedule, Buffalo, ED 0006, sheet 6A, family 83, age 38, occupation Farmer. L. M. Worley household, 1940 U.S. Census, Clermont County, L. M. Worley, population schedule, Miami, ED Blanch Hill & N Cambville Road, sheet Farm, Street or Post Office 159, house number Lafayette was listed as a married, 50 year old, WPA road worker., National Archives micropublication T627-3041. Moss M. Worley household, 1820 United States Census, Whitley County, Kentucky, population schedule, Line Number, Woodbine. Find A Grave - Memorial Page, online www.findagrave.com, Lucy Beale Arnest Walker - Find A Grave Memorial# 125696524. Find A Grave - Memorial Page, online www.findagrave.com, George Walker - Find A Grave Memorial# 125696460. George Walker household, 1920 U.S. Census, Westmoreland County, George Walker, population schedule, Cople, ED 156, sheet 20A, dwelling 391, family 392, age 31, occupation Farmer - General Farm. United States World War I Draft Registration Cards, 1917-1918, database with images online at FamilySearch, online familysearch.org, FamilySearch (https://familysearch.org/ark:/61903/1:1:K6ZD-HHQ : 12 December 2014), George Walker, 1917-1918; citing Westmoreland County, Virginia, United States, NARA microfilm publication M1509 (Washington D.C.: National Archives and Records Administration, n.d.); FHL microfilm 1,991,379. George Walker household, 1940 U.S. Census, Westmoreland County, George Walker, population schedule, Cople, ED 97-2, sheet 7B, Street or Post Office Route 600, house number Farm, number of household visited 124, National Archives micropublication T627-4301, George was listed as a married 51 year old Lawyer. United States, 1942 World War II Draft Registration Cards, viewed at FamilySearch, online familysearch.org, FamilySearch (https://familysearch.org/ark:/61903/1:1:V1V8-BL7 : 7 April 2016), George Walker, 1942; citing NARA microfilm publication M1936, M1937, M1939, M1951, M1962, M1964, M1986, M2090, and M2097 (Washington D.C.: National Archives and Records Administration, n.d.). Find A Grave - Memorial Page, online www.findagrave.com, Cyrus Harding Walker - Find A Grave Memorial# 125696851 KIA: Ensign, U.S. Navy, WWII. Find A Grave - Memorial Page, online www.findagrave.com, John Merchant - Find A Grave Memorial# 75928202. Find A Grave - Memorial Page, online www.findagrave.com, Malvena "Vena" Enos Merchant - Find A Grave Memorial# 75928325. Michigan Marriages, 1868-1925 - as view on FamilySearch.Org, online https://familysearch.org/, FamilySearch (https://familysearch.org/ark:/61903/1:1:N32W-QML : 4 December 2014), John Merchant and Vena Henault, 19 Apr 1910; citing Alverno, Cheboygan, Michigan, v 1 p 3 rn 1729, Department of Vital Records, Lansing; FHL microfilm 2,342,688. John Merchant household, 1910 U.S. Census, Cheboygan County, Michigan, population schedule, Aloha, ED 67, sheet 7A, dwelling 113, family 113, age 27, occupation Farmer - General Farm. John Merchant household, 1920 U.S. Census, Cheboygan County, John Merchant, population schedule, Benton, ED 120, sheet 3A, dwelling 42, family 44, age 37, occupation Farmer - General Farm. John Merchant household, 1930 U.S. Census, Cheboygan County, John Merchant, population schedule, Benton, ED 3, sheet 1B, dwelling 21, family 21, age 47, occupation Farmer. John Merchant household, 1940 U.S. Census, Cheboygan County, John Merchant, population schedule, Benton, ED 16-3, sheet 7B, Street or Post Office Farm, house number N Black River Rd., number of household visited 119, National Archives micropublication T627-1740, Age 57, occupation Farmer - Own Farm. Amos S. Plummer household, 1930 U.S. Census, Alameda County, Amos S. Plummer, population schedule, Alameda, ED 229, sheet 16B, dwelling 258, family 305, occupation salesman in a radio store. Amous Plummer household, 1900 U.S. Census, Eureka, Nevada, population schedule, Mineral Hill, ED 14, sheet 4, dwelling 77, family 78, occupation miner. CA Death Index, online search.ancestry.com, SSI: 560-09-2405. "News Paper Clipings,", News Paper Clipings - From Edna Plummer and Isetta Thomas's scrap books. Amos S Plummer household, 1910 U.S. Census, Eureka County, Nevada, population schedule, Garrison Mine, ED 82, sheet 178B, dwelling 10, family 10, age 21, occupation retail merch. Anos S. Plummer household, 1920 U. S. Census, Placer County, District of Columbia, population schedule, Auburn, sheet 170, dwelling 3A, family 44, 44. Amos S Plummer household, 1930 U.S. Census, Alameda County, Amos S Plummer, population schedule, Alameda, ED 229, sheet 16B, dwelling 205, family 355, age 41, occupation Salesman Radio Store. Amos S. Plummer household, 1940 U.S. Census, El Dorado County, Amos S. Plummer, population schedule, Placerville, ED 9-14, sheet 6A, Street or Post Office Highway 49, house number Farm, number of household visited 135, National Archives micropublication T627-199, 52 year old car salesman at a dealership.